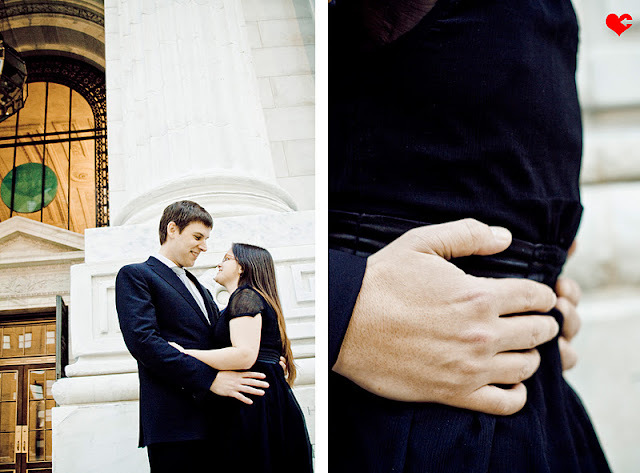 Getting to do round two engagement portraits with Caroline + Jason, and in a completely different atmosphere than the first time we worked together, was so much fun! Round one of their portraits took us to Montauk (check out the portraits: http://www.beimagedblog.com/2011/11/montauk-engagement-portraits-of.html) and round two took us to none other than New York City from day to night amidst Christmas + holiday spirit galore. 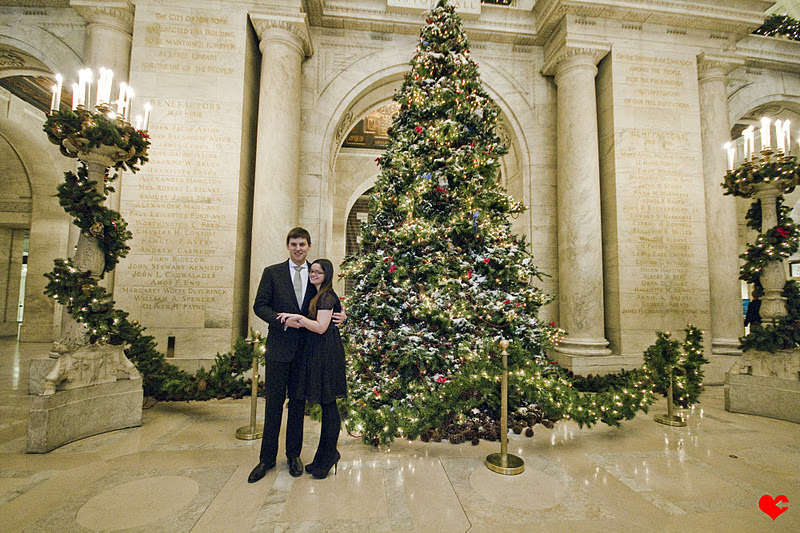 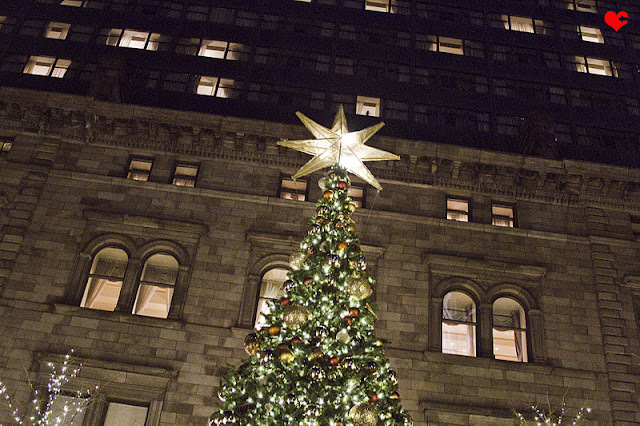 Even though we got kicked out of the NY Public Library (the guards there didn't have the holiday spirit!) 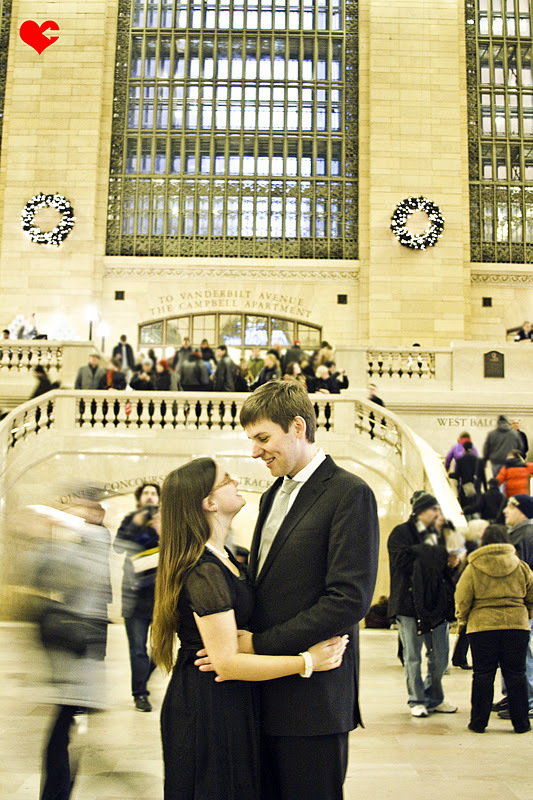 before we really even got started, we made the best of the night by going to Grand Central Station and onward and was all a blast! 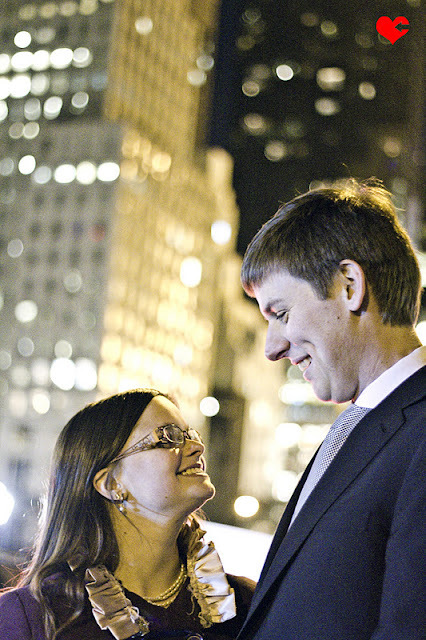 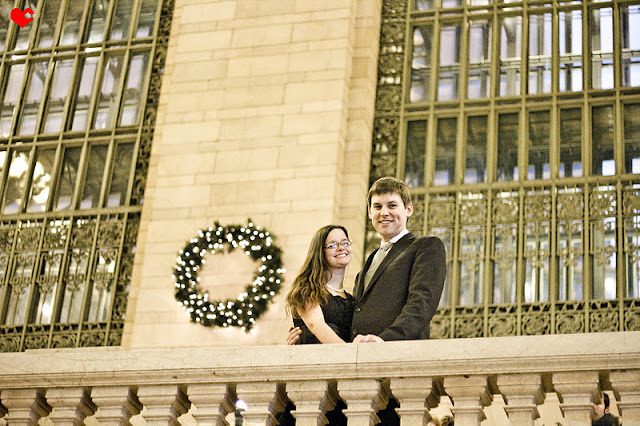 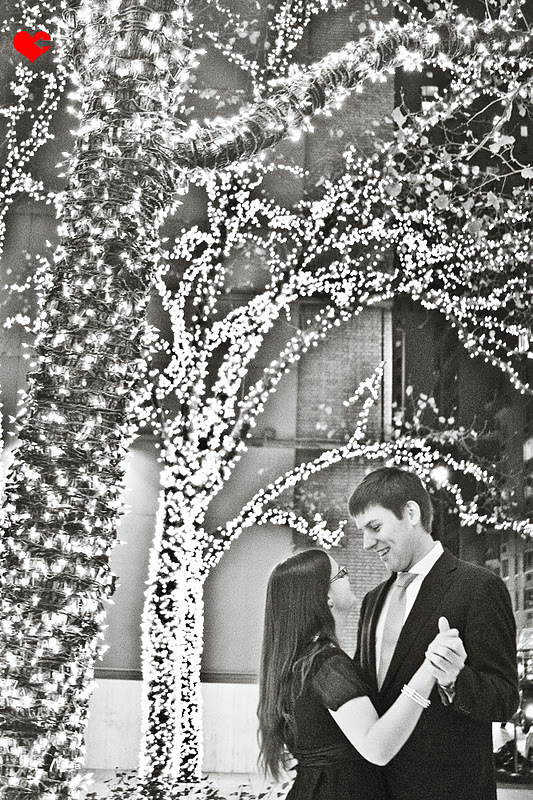 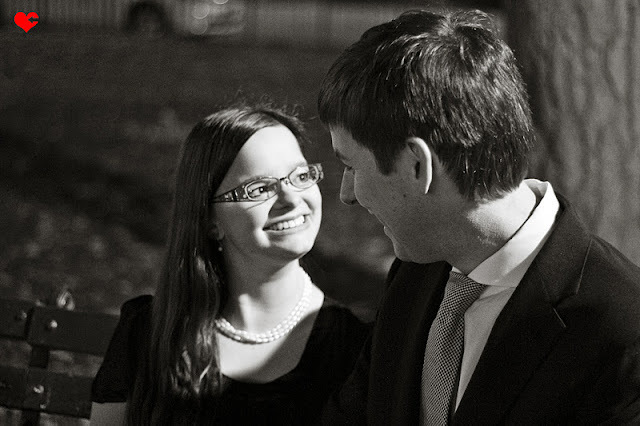 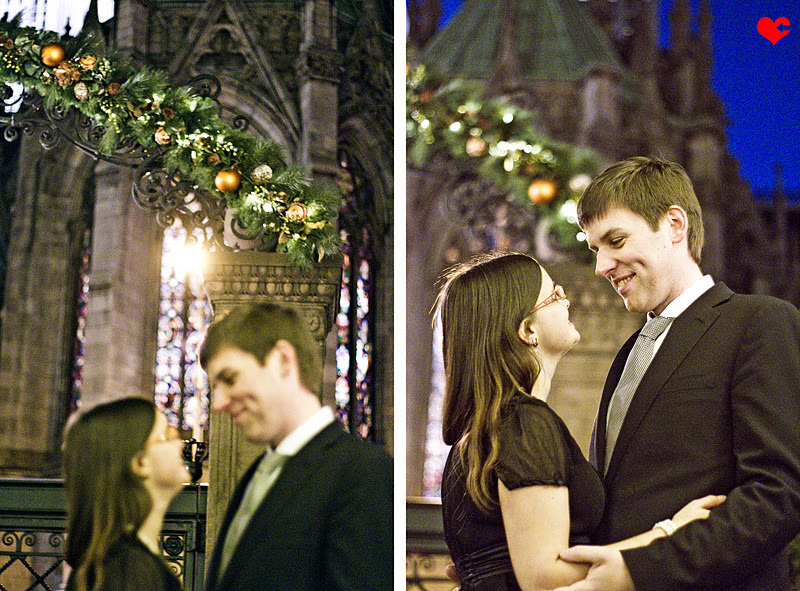 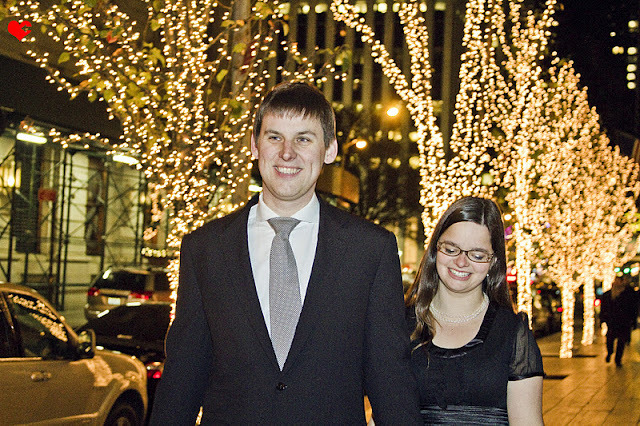 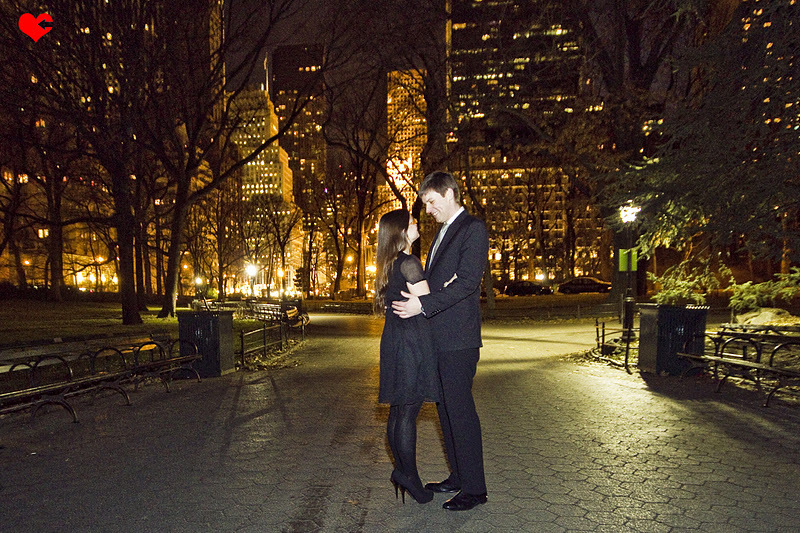 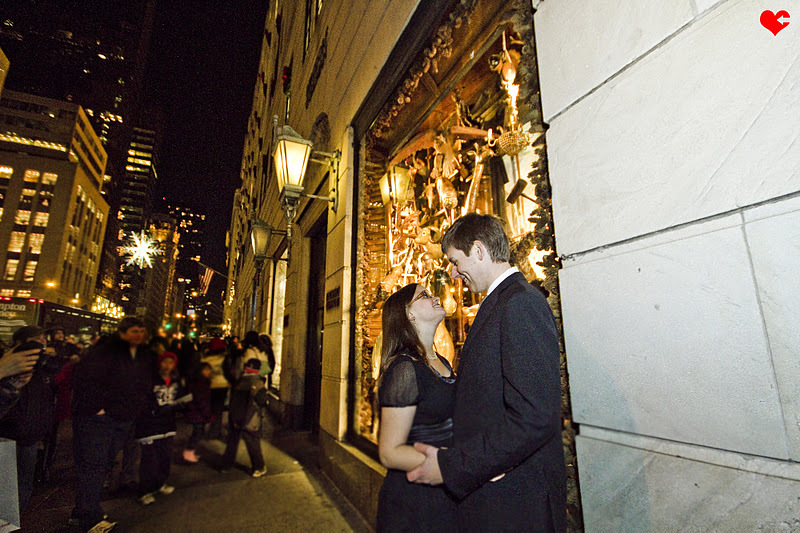 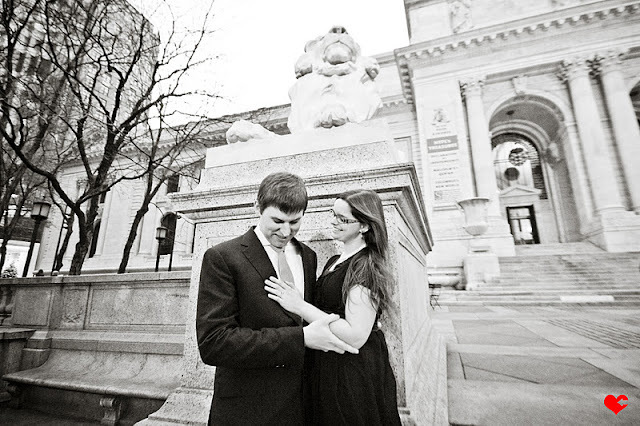 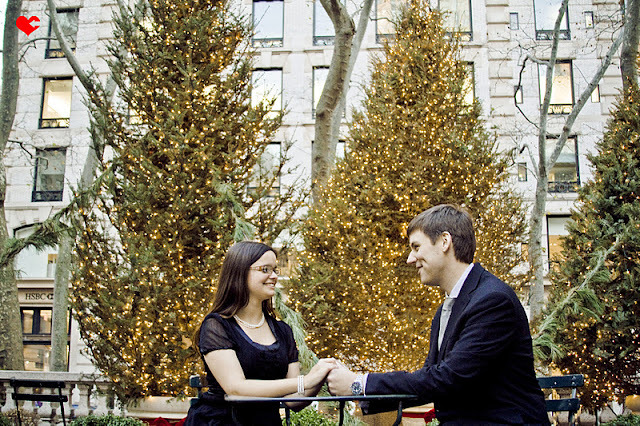 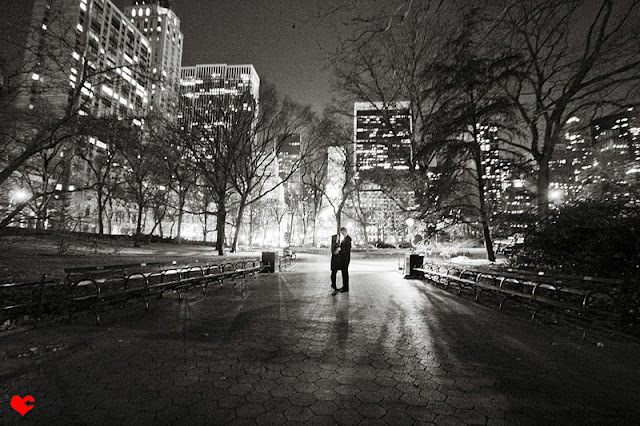 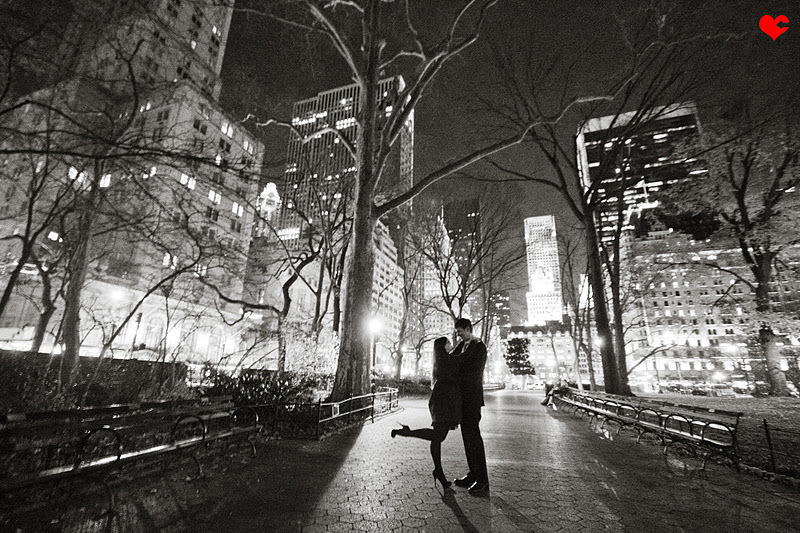 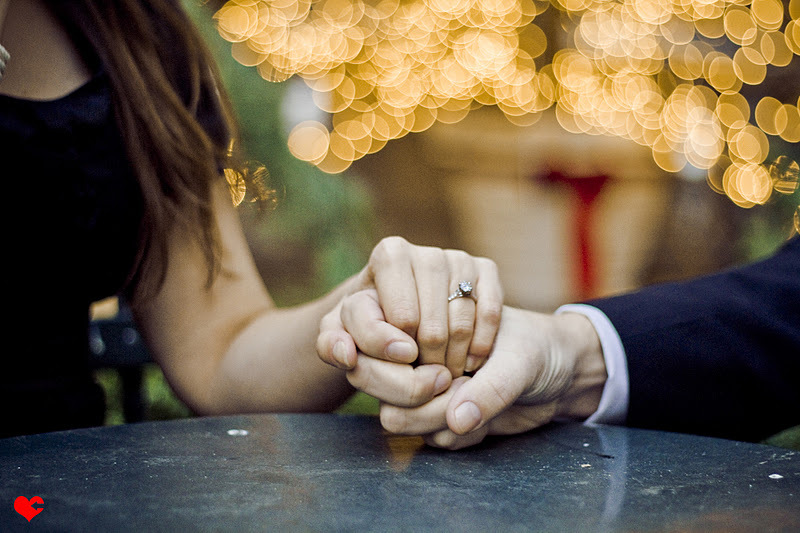 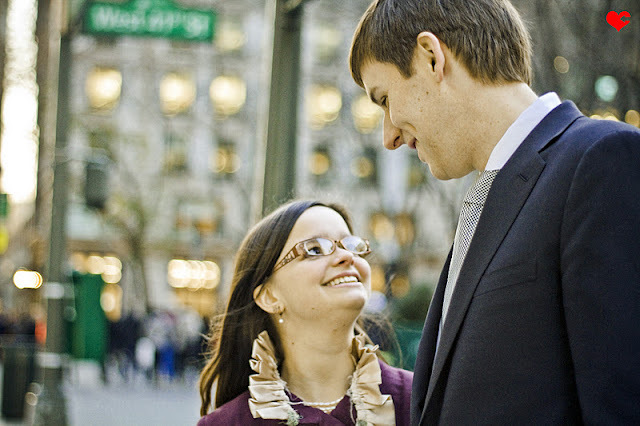 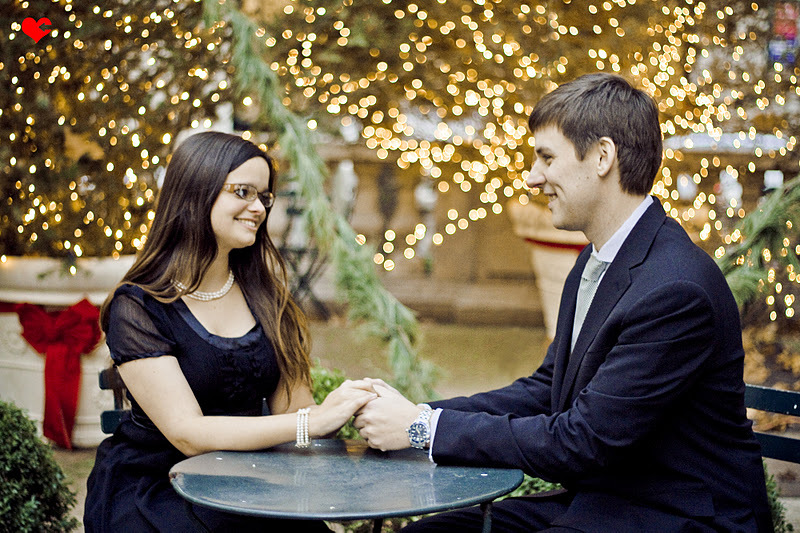 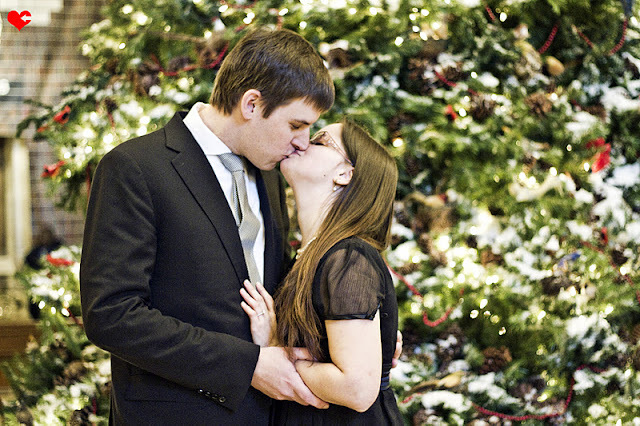 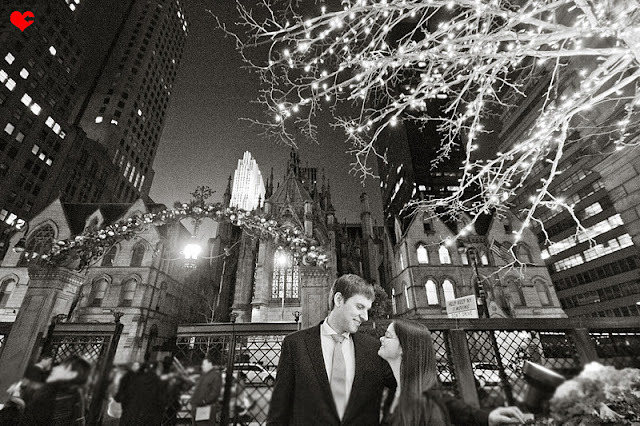 Congratulations to sweet Caroline + Jason, and happy holidays to all!